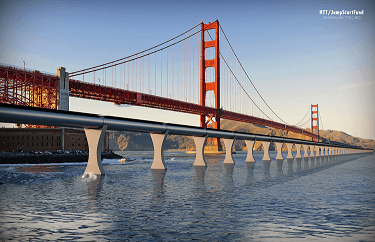 In August of 2013, Elon Musk, the innovative CEO of SpaceX, introduced an idea that has come to be known as Hyperloop. The Hyperloop is, as SpaceX would describe it, the fifth major mode of transportation – a high-speed underground passenger pod. Since its inception, the Hyperloop project has been open-source, bringing together the minds of the private sector, as well as university students, with the hopes of creating the best-designed pod possible. SpaceX has provided enough information to the public that anyone can contribute to the project, drawing enormous interest in the scientific community. 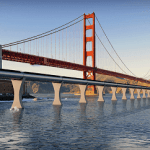 The ultimate goal for the Hyperloop project is to be able to transport passengers from Los Angeles to San Francisco in under 35 minutes in an energy efficient, cost-effective manner. To do so, the preliminary design includes a pod which would travel at very high velocities through a low pressure, underground tube system. To attain the speeds necessary to accomplish this (maxing at approximately 760 miles per hour), it was initially proposed that the pod would utilize air bearings (a form of suspension that utilizes a pocket of air under compression) to support the structure to create as little friction as possible so that magnetic propulsion can be used. The pod design also includes an electric compressor fan to create air flow through the pod, allowing the pod to pass through with greatly reduced air friction. While this may all seem very well thought out and finalized, these are only the initial plans for the design of the pods. Recently, SpaceX began hosting competitions where teams can test their prototype pods in the one-mile long tunnel the company has dug beneath the town in which it is headquartered. Top competitors for the first round of testing include teams from MIT, TU Delft and the University of Wisconsin-Madison. These competitions have introduced the incorporation of such features as passive magnetic levitation, non-contact braking, and designs made entirely of composite materials. As testing proceeds, this open-source powerhouse of a project can only be expected to drive further innovations in transportation technologies.